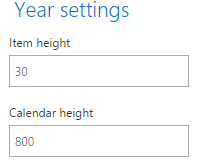 Expand “Year settings” block. This view setting can be applied for the Year view. Enter the item height (30 pxls recommended) and the whole calendar height. You can edit text displayed if there are more items in the cell or amount of weeks in month. 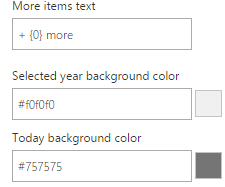 Also, you can change year and today background colors.